The venue is gorgeous. The staff is amazing. Price is good for all that is included. Best for weddings/events under 100 guests. I love the relationship that Beaver Station has with all of the vendors. It made everything go so easy and smooth. Katie thank you so much for the wonderful review! You were a pleasure to meet and work with as well. Your wedding was awesome and represented you and Zach perfectly with all your personal touches! From the venue itself, the people that work their, and the vendors they offer are amazing to work with. Leanne is always very responsive and was always will big to offer assistance and guidance while planning. She gives great advice on vendors they use frequently and I can see why, they were very responsive and cost effective. On the day of the ceremony Veronica was the on-site coordinator, she ran around making sure myself and the bridal party were all set and even assisted with set up and making sure we had everything in line. Veronica even assisted with our photographer making sure everyone was were they needed to be and jumped up and down behind the photographer to ensure the little flower girls were looking in the right direction. If I had to do it all over again I could not think of a better to had my wedding. The station itself and the gardens have the most beautiful old world charm, and are stunning in photos. 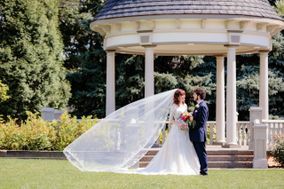 I loved the fact that we did not have to travel from the ceremony site to take pictures, the Belvedere and outside gardens make a picture perfect backdrop. Sara thank you very much for such a wonderful review and providing such great details about your experience! So thrilled to hear how pleased you were with everything. You made planning so simple by being one of the most easy-going brides we have ever worked with! You and Justin are a gorgeous couple and sure to share a lifetime of love and happiness. 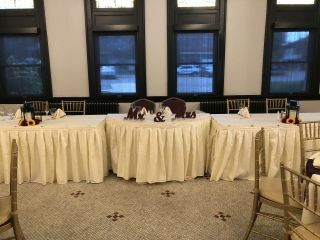 Thanks for allowing us to be part of your special day! So wonderful to work with and Leanne took care of everything to make sure my day ran as smoothly as possible!! Very flexible and willing to accommodate my needs as a bride. Emily thank you for your wonderful review and comments! You were a pleasure to meet and work with! Your hard work paid off and you and Caleb had a wonderful celebration! The two of you are going to be so happy together, thanks for starting your journey at Beaver Station! 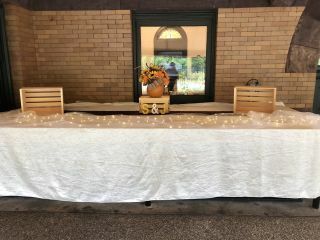 We had a wonderful experience holding our reception at the Beaver Train station. Leanne was amazing and super helpful. Always just a email away when I needed her! The staff did a wonderful job the night of the reception. We are very pleased and highly recommend this venue. Tracie thank you so much for the wonderful review and comments! You and Sammy were an absolute joy to meet and work with on your post-beach wedding celebration! Your centerpieces and personal touches were just perfect. You two are definitely soul mates and what a beautiful family you have created! We are so happy to have been part of your special day and thrilled to hear you were pleased with everything! I can not tell how amazing Leanne was during the whole process. She was amazing help and brought up a lot of things I was unaware about. The venue is absolutely beautiful is. We loved it from the moment we saw it. Its very cute and has those old world charms with the architectural features. Also Leanne will point you in the right direction just ask about some vendors and she will recommend you to the right ones. We used Penn Bistro LLC for our caterer. Let say the food was Delicious, all of our guests were so impressed with the food and keep talking about it. I would suggest them, they will work with your budget and especially if you have vegetarian guests. The Chicken Parm was the best I have ever had. The Event Coordinator Veronica was on site during the whole wedding and made sure everything ran smoothly. If there was any issues I didnt have to worry about anything she took care it. Life saver. If you are looking for a venue that is incredible and has incredible people I would choose this place again. My partner and I are trying to think of other events to have here. Matthew thank you so much for your kind words and sharing details about your wedding day! You and Ben are an awesome couple, you could feel the love you share with each other the entire day. Our number one goal is to provide outstanding customer service to our clients so you don't have to worry about a thing, so it makes me so happy to hear we exceeded your expectations and you will have beautiful memories of your wedding day. Wishing you and Ben a lifetime of love and happiness! Loved the venue, the staff, and everyone who helped make the wedding great. It was amazing and was perfect! Beth, thank you for the wonderful review! We planned your special day for a long time and all your hard work paid off. Everything was beautiful and the personal details were just perfect. We could not be any happier to hear you say your celebration was amazing and perfect! You and Lee were truly meant to be together. Thanks for allowing us to be part of your special day! The venue is absolutely beautiful and Leanne is so wonderful to work with!! I would recommend this place 100%!! Shannon, thank you so much! You were a joy to meet and work with! I will admit, our gardens were looking amazing on your wedding day, but all your planning and personal touches made your day fabulous! I wish you and Stephan all the best! Our experience at Beaver Station was top notch. Leanne was an angel in planning mode. She made sure we thought about every detail and worked with our selected vendors to help the day run smoothly. We saved a boatload on decorations by not needing many! 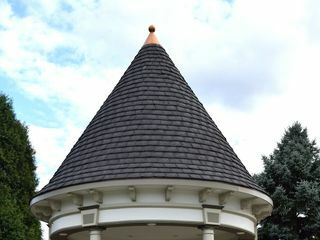 The place was naturally beautiful inside and out due to the historic architecture and lovely landscaping. We used simple centerpieces and two bouquets of flowers- that’s all! Our guests loved the natural historic beauty and they lost their minds each time a train roared past (especially after a few alcoholic beverages). We had a blast and are so happy we chose this venue. Everything was perfect and we’d recommend Beaver Station and Leanne’s staff a million times. Caitlin, thank you for such a detailed and awesome review of your experience at Beaver Station! Your description of the property is perfect. The train passing does gets guests every time! :) You and Cole were a joy to work with and nothing makes me happier to hear you say your wedding day was a blast. You deserved an awesome celebration and thrilled to be a part of it! Everything was fantastic!! Leanne was super quick to respond via any method with questions I had about the process. Our even hosts (Debbie and Veronica) were amazing. They were there for anything I needed the day of our wedding. Leanne was able to recommmend a great catering service for us to use and was very accommodating with the ice cream bar we wanted for dessert. I can’t say enough positive things about the station and the service we had!!! I would highly recommend for any event! Lisa, thank you so much for the wonderful review! It was a pleasure to help you and Ryan plan your perfect day! It was great to watch you and your guests have so much fun during the reception and it makes us so happy to hear you describe your wedding day as "fantastic"! Wonderful staff during planning and on the actual day. Leanne and her team were fantastic to work with. We loved the experience! Thank you so much for your wonderful review. We loved working with you, Tayrn and your families on your beautiful celebration as well! Your vintage and personal touches (which can be seen in our Wedding Wire virtual tour!) were just perfect! Wishing you much love and happiness! We had a magical day thanks to Leanne and the staff at Beaver Train station. Leanne was super organized and was so easy to talk to. She was in regular communication with me to ensure that the day would go off without a hitch. 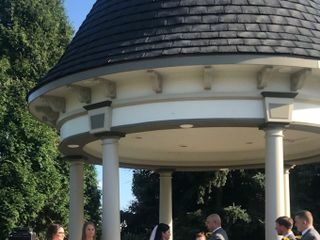 We decided to have food trucks at our wedding and Leanne went above and beyond to be sure that the venue could appropriately accommodate the vendors and spoke with them to work out all of the small details before the big day. The facility was beautiful and perfect for our wedding. The gardens were impeccable and every detail was lovely- from the chivari chairs to carefully planned table arrangements. We couldn't have asked for a better location or for lovelier people to work with. So many friends were asking if they could book the venue for their event because they were so impressed with the facility and the service. Ashley, thank you so much for your fabulous review! You and Sean were a dream team to work with too. So calm and warm, full of awesome ideas and great vintage touches that will make your special day memorable forever! Your day was perfect and I'm sure your life together will be just the same! The Train Station was a dream. As soon as we saw it, we knew it was the place for us. Vintage but classy and yet unique. Trains run by occasionally, which for us, was wonderful. We both love trains--everywhere I've lived has been near a train track. Trains remind me of home. Leanne was great to work with--professional and organized. Her team was accommodating, kind and full of energy and excitement. We are beyond words happy with how the wedding day went. Everything fell into place. The whole day, truly, felt like a dream. We're so thankful! Thank you so much for the wonderful review! You and Mike were so deserving of a dream wedding day! You and your families are such loving and genuine people, a dream to work with as well! From decorating the Belvedere, to the amazing coffee mug favors to the donut bar...so fun and a wedding brides will get inspiration from for years to come! My wedding was seriously the best! Leanne and her team made our day memorable and we had an absolute blast. Everyone was highly professional, helpful, and always ready to answer any questions or concerns that we had. We cannot thank them enough for all of their help and guidance in creating our special day! Abby, Thank you so much for the wonderful review. You and Robert were an absolute pleasure to work with! Hearing you say your wedding day was memorable and a blast makes us so happy! Cannot say enough about Leanne and her team at Beaver Station! It's a beautiful and unique venue to host a special occasion and they make it so easy to put together all the details. We hosted my niece's wedding reception here in November and it was a truly magical evening for everyone. Karan, Thank you so much for the wonderful compliments! As an event planner and relative, you were fantastic to work with. Your attention to detail made our job easy to provide Jaye and Tanner a wonderful celebration! 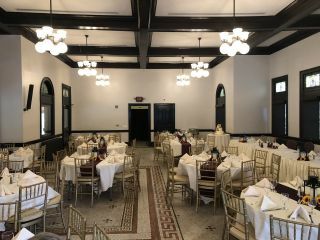 The Beaver Station was a beautiful venue for our October wedding. The staff was amazing. They were very responsive through emails and phone calls, very flexible with their time and availability, and very professional. 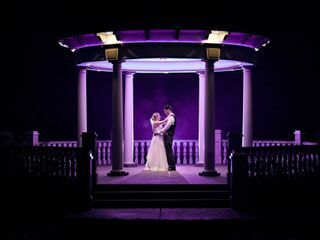 They kept the night moving smoothly and made planning a wedding from out of town easy. We could not have been happier and would highly recommend the Beaver Station. Besty, Thank you so much for the wonderful comments! It was absolutely our pleasure working with you, John and your families! Your cookie display was unbelievable and watching everyone form a train on the dance floor as a train passed by the Courtyard was awesome! EVERYTHING WAS PERFECT!!!!! I WOULD NOT CHANGE A THING!!! LEANNE WAS WONDERFUL!!! SHE HELPED US IN EVERY WAY POSSIBLE! OUR DAUGHTERS WEDDING DAY WAS WONDERFUL!!! I WOULD HIGHLY RECOMMEND THE BEAVER EVENT STATION ! Leanne is a lifesaver who kept me sane! And helped with all the little details. The staff helps with everything and makes it a simple process. The venue is beautiful. People loved the historical elements. Highly recommended!! Rachel, thank you so much for your wonderful comments! You don't give yourself enough credit - you planned a perfect wedding and we had a blast working with you! Leanne was great, she walked me through every step of the planning process and as a result we had a fantastic reception. Both Leanne and Sandy were there the day of our wedding and I didn't have to worry about a thing, every bride's dream. 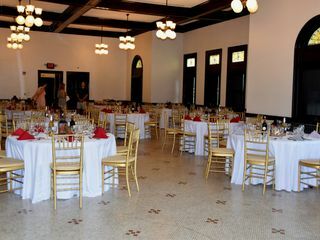 Beaver Station is a very affordable and beautiful venue with a fun and professional staff. Nancy, thank you so much for the wonderful comments! You were a pleasure to work with and to hear you say your day was fantastic, worry free and a brides dream, makes us so happy! You and Paul certainly deserved an awesome celebration and we are glad you chose Beaver Station! Leanne and her team were absolutely amazing. She worked with our small wedding and made it the perfect day. Leanne was willing to accommodate us in any way possible, and made sure no little detail went unaddressed. Chelsey, thank you so much for the wonderful comments! You and Ben were awesome to work with and we had so much fun watching the two of you celebrate all night long! Your attention to detail paid off, you planned a beautiful celebration and we are so glad you chose Beaver Station! Leanne was amazing to work with and was perfect in coordinating with the preferred vendors. Would love to see some additions with vendor options but have no complaints. Even with weather challenges, Leanne did everything to make the wedding day perfect. Kathleen, thank you so much for you wonderful comments! You were a pleasure to work with and made us feel like part of your awesome family! It was so important for us to give you the amazing celebration you all deserved and we were not going to let anything (even though it seemed like a tropical storm) stand in our way! Leanne and Betsy were wonderful! They worked so well with us and everything was perfect! Our day couldn't have been better! The venue was great and so were the people we worked with. Everyone went very smoothly. Dealing with this vendor was the best experience of the event planning process.